Women’s strappy sandals from Toga Pulla. 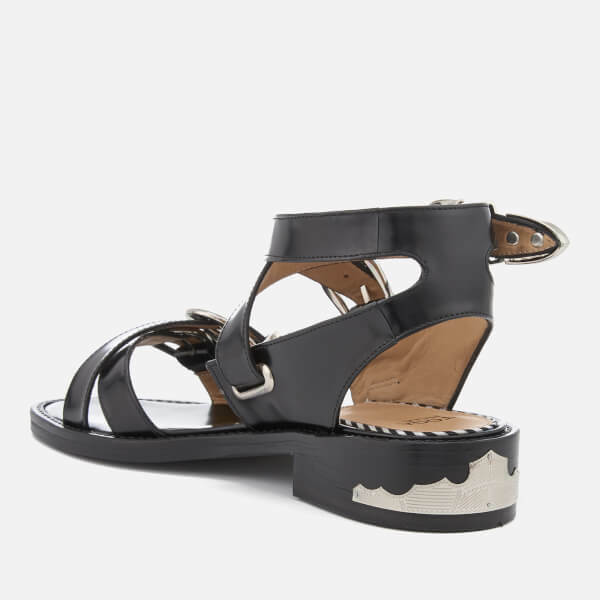 Crafted from smooth black leather, the flats comprise crossover straps over the toes and around the ankle, each fastening with a decorative silver-tone buckle. The shoes are set upon a slim leather sole with a small stacked heel. A metallic plate to the heel completes the design.